As a fan of interface design, operating systems — Android, iOS, Windows — have always been a tremendous point of fascination for me. We spend hours in them every day, whether cognizant about that fact or not. And so any paradigm shifts in this field intrigue me to no end. One such paradigm shift that appears to be happening, is the phasing out of the desktop metaphor, the screen you put a wallpaper and shortcuts on. Windows 8 was Microsofts bold attempt to phase out the desktop. Instead of the traditional desktop being the bottom of it all — the screen that was beneath all of your apps which you would get to if you closed or minimized them — there's now the Start screen, a colorful bunch of tiles. Aside from the stark visual difference, the main difference between the traditional desktop and the Start screen, is that you can't litter it with files. You'll have to either organize your documents or adopt the mobile pattern of not worrying about where files are stored at all. For the longest time, Android seems to have tried to do the best of both worlds. The bottom screen of Android is a place to see your wallpaper and apps pinned to your dock. You can also put app shortcuts and even widgets here. Through an extra tap (so not quite the bottom of the hierarchy) you can access all of your installed apps, which unlike iOS have to manually be put on your homescreen if so desired. You can actually pin document shortcuts here as well, though it's a cumbersome process and like with iOS you can't save a file there. Though not elegant, the Android homescreen works reasonably well and certainly appeals to power-users with its many customization options. Microsoft and Apple both appear to consider the desktop (and file-management as a subset) an interface relic to be phased out. Microsoft tried and mostly failed to do so, while Apple is taking baby-steps with iOS. If recent Android leaks are to be believed, and if I'm right in my interpretation of said leaks, Android is about to take it a step beyond even homescreens/app-launchers. The card metaphor that Android is aggressively pushing is all about units of information, ideally contextual. The metaphor, by virtue of its physical counterpart, suggests it holding a finite amount of information after which you're done with the card and can swipe it away. Like a menu at a restaurant, it stops being relevant the moment you know what to order. Similarly, business cards convey contact information and can then be filed away. Cards as an interface design metaphor is about divining what the user wants to do and grouping the answers together. We've seen parts of this vision with Android Wear. The watch can't run apps and instead relies on rich, interactive notification cards. Android phones have similar (though less rich) notifications, but are currently designed around traditional desktop patterns. There's a homescreen at the bottom of the hierarchy, then you tap in and out of apps: home button, open Gmail, open email, delete, homescreen. I think it's safe to assume Google wants you to be able to do the same (and more) on an Android phone as you can on an Android smartwatch, and not have them use two widely different interaction mechanisms. So on the phone side, something has to give. 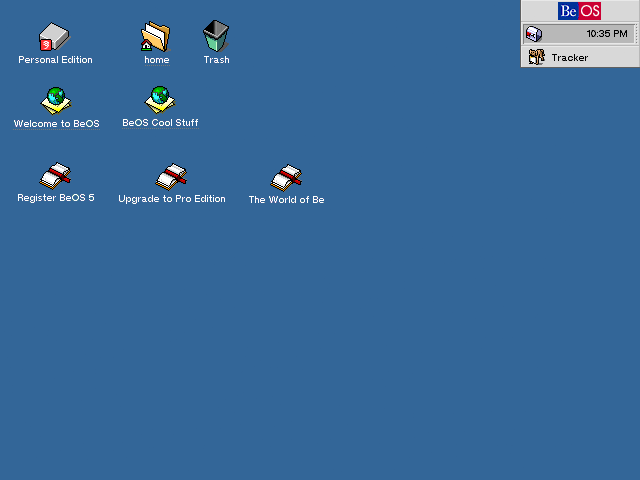 The homescreen/desktop, perchance? The more recent leak suggests just that. Supposedly Google is working to put "OK Google" everywhere. The little red circle button you can see in the Android Wear videos, when invoked, will scale down the app you're in, show it as a card you can apply voice actions on. Presumably the already expansive list of Google Now commands would also be available; "OK Google, play some music" to start up an instant mix. The key pattern I take note of here, is the attempt to de-emphasize individual apps and instead focus on app-agnostic actions. Matias Duarte recently suggested that mobile is dead and that we should approach design by thinking about problems to solve on a range of different screen sizes. That notion plays exactly into this. Probably most users approach their phone with particular tasks in mind: send an email, take a photo. Having to tap a home button, then an app drawer, then an app icon in order to do this seems almost antiquated compared to the slick Android Wear approach of no desktop/homescreen, no apps. Supposedly Google may remove the home button, relegating the homescreen to be simply another card in your multi-tasking list. Perhaps the bottom card? I'll be waiting with bated breath to see how successful Google can be in this endeavour. 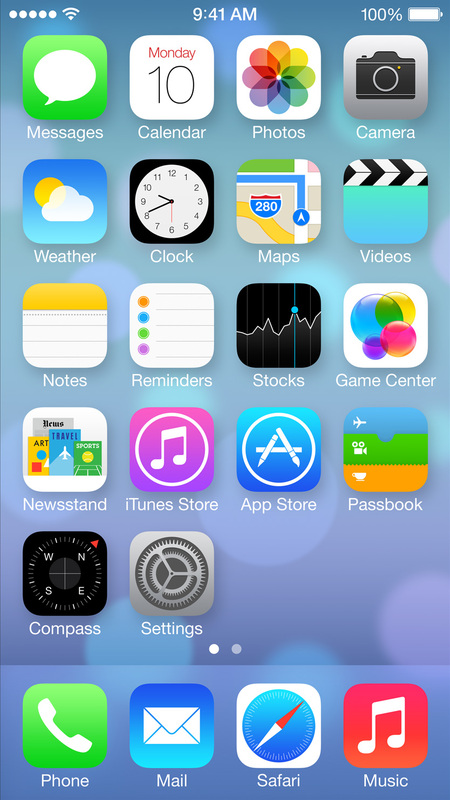 The homescreen/desktop metaphor represents, to many people, a comforting starting point. A 0,0,0 coordinate in a stressful universe. A place I can pin a photo of my baby girl, so I can at least smile when pulling out the smartphone to confirm that, in fact, nothing happened since last I checked 5 minutes ago.